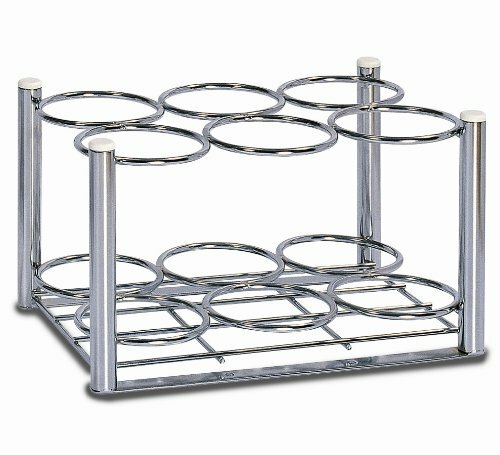 Oxygen Cylinder Rack to carry 6 size D or size E oxygen cylinder tanks. Holes in bottom bracket to be mounted in delivery vehicle. 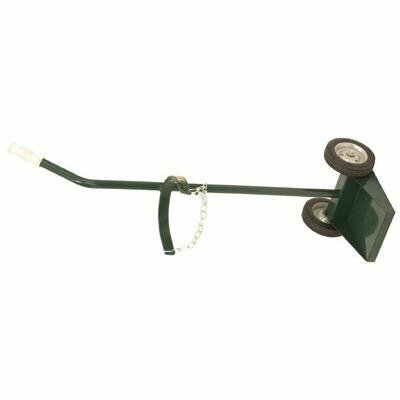 Challenger mobility metal oxygen tank holder will allow you to carry your oxygen tank with you, anywhere you go this oxygen tank holder slides and attaches to the seat 1" square receiver with a holding pin. It is compatible with most scooters and power wheelchairs on the USA market. The cylinder accommodates size d and e oxygen tanks. It is equipped with an adjustment on the holder that allows the smaller tank d to fit securely in the holder. 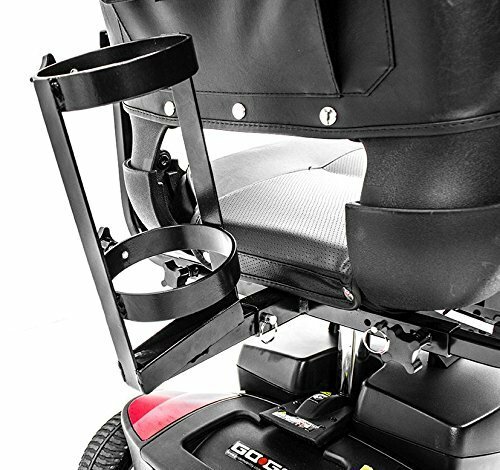 Features: Universal, fits most scooters & power chairs accommodates size d & e oxygen tanks removable and easy to attach thumb screw secures bottle in holder. 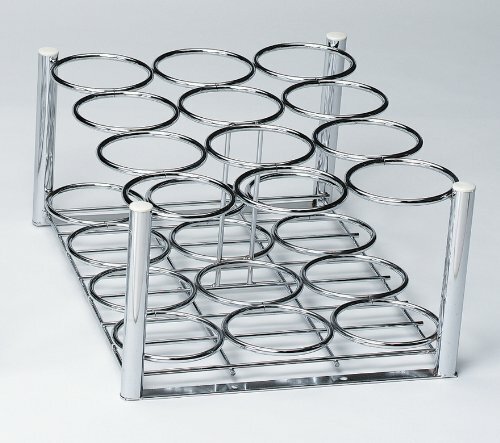 Oxygen Cylinder Rack to carry 12 size D or size E oxygen cylinder tanks. Holes in bottom bracket to be mounted in delivery vehicle. Features: 1. HIGH QUALITY MATERIAL: Made from durable nylon material that securely holds your oxygen tank in place. It also features strong buckles to provide added stability. 2. FLEXIBLE OPERATION: Easy dispatch, flexible operation, can be bundled with different specifications of gas. 3. ADJUSTABLE & COMFORTABLE: Our comfortable flex-strap effectively distributes the pressure across the shoulder to alleviate soreness from occurring. The strap is easy to adjust for additional convenience and a more comfortable fit. 4. EASY TO USE: This tank oxygen carry bag makes transporting a single oxygen cylinder simple for everyone. Fit guests don't need buoyancy control. Specification: Brand: Keep Diving Material: Nylon, Plastic Color: Black Size: Approx. 36 * 24 cm / 14.2 * 9.4 in Weight: Approx. 594 g Package List: 1 * Oxygen Bottle Holder Note: Only the Oxygen Bottle Holder, Oxygen Bottle and others are not included in our list. Harper Trucks MG-DE21 hand truck is designed for the safety, balance and ease of moving small oxygen cylinders in the home or office. It handles D and E type oxygen cylinders. Wheel diameter and type - 6-Inch by 1 1/2-Inch semi-pneumatic. Bracket chain height - 12-Inch. Dimension - 4 1/2-Inch ring. 39-Inch high by 11-Inch wide, 8 lbs. One year warranty, made in America. Since 1953, our mission has been to sell the highest quality products in the market. We have grown from a small, regional metal fabricator to the largest hand truck manufacturer in the world. Through our unmatched service commitments, worldwide distributor network, product guarantees, manufacturing process, and constant innovation we will continue to grow well into the next century. 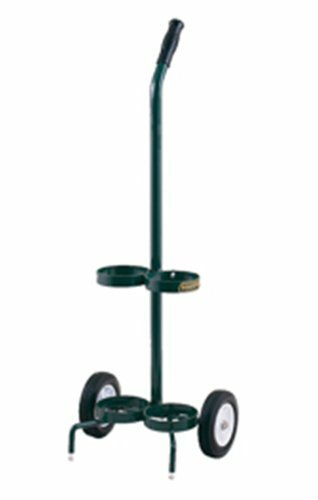 Harper Trucks MG-DEB21 hand truck is designed for the safety, balance and ease of moving small oxygen cylinders in the home or office. It handles D and E type oxygen cylinders. Wheel diameter and type - 6-Inch by 1 1/2-Inch semi-pneumatic. Bracket chain height - 12-Inch. Dimension - 2 - 4 1/2-Inch rings. 39-Inch high by 11-Inch wide, 8 lbs. One year warranty, made in America. Since 1953, our mission has been to sell the highest quality products in the market. We have grown from a small, regional metal fabricator to the largest hand truck manufacturer in the world. Through our unmatched service commitments, worldwide distributor network, product guarantees, manufacturing process, and constant innovation we will continue to grow well into the next century. 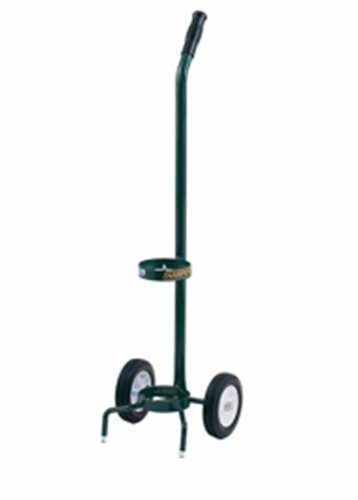 Harper Trucks MG-M71 hand truck is designed for the safety, balance and ease of moving small oxygen cylinders in the home or office. This truck comes equipped with a spring-loaded chain encased in a plastic tube. It handles an M type oxygen cylinder. Wheel diameter and type - 6-Inch by 1 1/2-Inch semi-pneumatic, ball-bearing. Bracket chain height - 23-Inch. Dimension - 7-Inch by 7 1/2-Inch. 42-Inch high by 11-Inch wide, 8 lbs. One year warranty, made in America. Since 1953, our mission has been to sell the highest quality products in the market. We have grown from a small, regional metal fabricator to the largest hand truck manufacturer in the world. Through our unmatched service commitments, worldwide distributor network, product guarantees, manufacturing process, and constant innovation we will continue to grow well into the next century. Description: - Strong and rigid, set the gas cylinder stable and solid - Easy dispatch, flexible operation - Adjustable nylon webbing with your needs - Fit guests don't need buoyancy control - Almost no wearing feltSpecification: - Material: ABS - Color: Black - Size: Approx. 36 x 20.5 cm / 14.17 x 8.07 inchPackage Includes:1 Piece Diving Gas Cylinder Back PadNote:Due to the differences between different monitors, the picture may not reflect the actual color.There is 2-3% difference according to manual measurement, please check the size carefully before you buy the item. 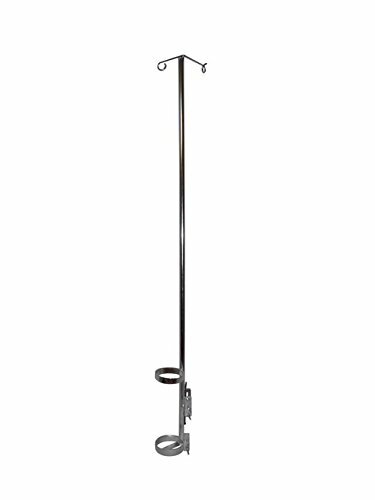 Our 1118-F Fixed Height IV Pole features an adjustable mounting bracket that allows it to be mounted to all wheelchairs; Oxygen Cylinder tank holder and welded bracket for signage. * Holds 1 D/E Oxygen Tank * Adjustable Mounting Bracket for all wheelchair types * Chrome Plated * Proudly Made in Ohio, USAProduct Details * 69" Tall * All Welded Construction * Mounting hardware included * Stationary lower U bolt, Adjustable Upper U bolt * Fits 7/8" or 1" tubingWhy our customers love this product:Many of our customers like the solid design of our IV poles as our unique design and mounting applications prevent the theft of wheelchairs for their facilities.If you do not see what your looking for or require customization to this product, please feel free contact us. 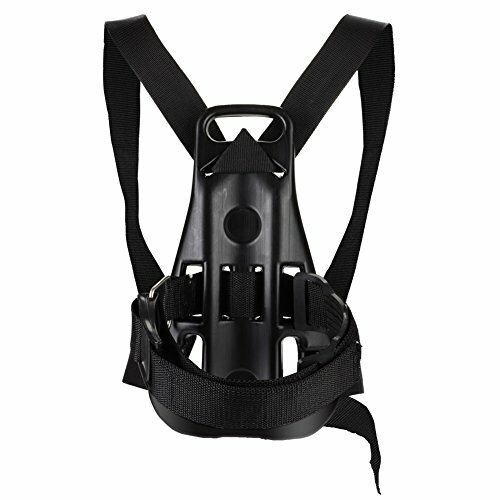 Looking for more Oxygen Tank Brackets similar ideas? Try to explore these searches: Red Wool Peacoat, Ford Deep Exhaust System, and 8mm Silver Inlay Titanium Band. Look at latest related video about Oxygen Tank Brackets. Shopwizion.com is the smartest way for online shopping: compare prices of leading online shops for best deals around the web. 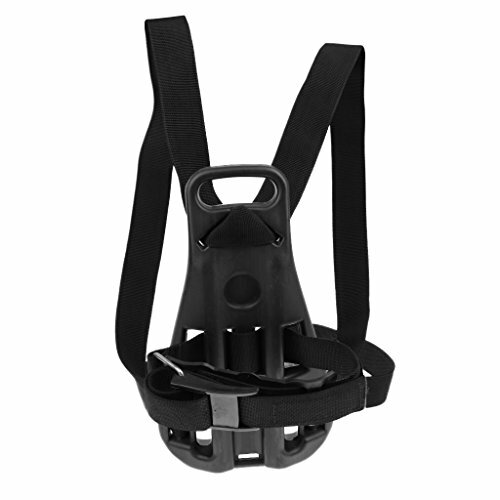 Don't miss TOP Oxygen Tank Brackets deals, updated daily.